The Dialectical Behavior Therapy (DBT) in Recreational Therapy workshop that I organized will be Friday February 8, 2019 in Huntington, West Virginia. Danny Pettry: I feel excited about this workshop training! 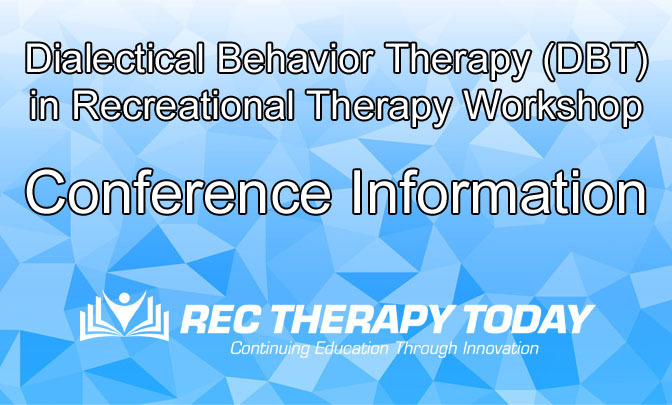 I’ll be posting summaries of each session here at Rec Therapy Today so you can gain some of the information presented. People interested can show up on site and register. Don’t miss out on our innovative continuing education programs. Get informed.